The article will help you to remove FreeManualsIndex fully. Follow the browser hijacker removal instructions given at the end of the article. 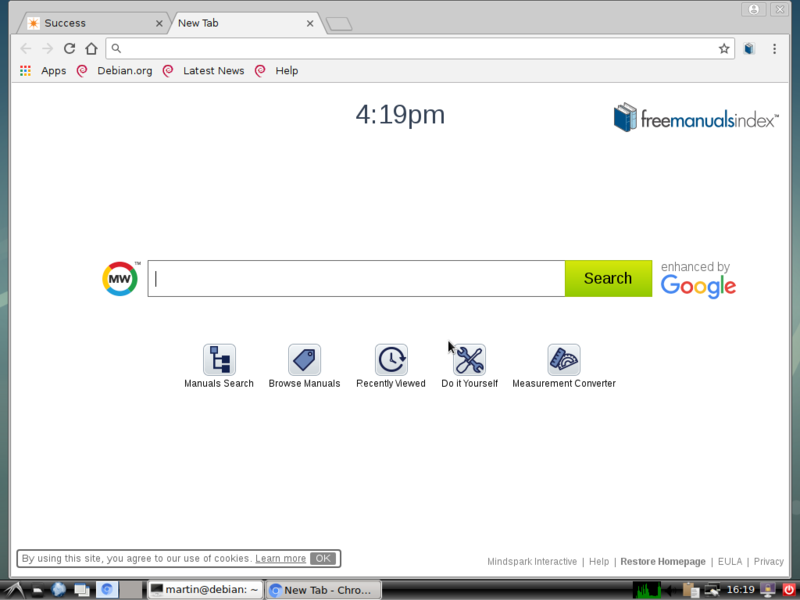 The FreeManualsIndex redirect is a recently discovered browser plugin that can be used for hijacker purposes. Interaction with it can hijack personal data belonging to the victims. Our in-depth article explores some of the dangers associated with its presence on infected hosts. Symptoms The homepage, new tab and search engine of all your browsers will be switched to FreeManualsIndex. You will be redirected and could see sponsored content. User Experience Join Our Forum to Discuss FreeManualsIndex. The FreeManualsIndex redirect is being distributed using the most popular methods. The majority of the hijacker infections are caused by the redirect browser extensions which is being pushed to the victims via the official site belonging to the malware code. The criminals have created versions of it that are compatible with the most popular web browsers: Mozilla Firefox, Internet Explorer, Microsoft Edge, Safari, Opera and Google Chrome. The criminals can also spread the hijacker strains on the various extension repositories by using fake developer credentials and user reviews. The redirect code is usually advertised as an useful addition to the browsers by promising to add new features or enhance already existing ones. The other method that is used to spread the threat is the use of email SPAM messages. They are disguised as messages that have been sent by legitimate companies and Internet services. They can directly attach the strains to the messages or hyperlink them in the body contents. FreeManualsIndex redirect files can be spread via payload installers. They are spread through email message, as well as counterfeit download sites. They are made by using templates that resemble well-known sites, as well as their domain names. In the last few years the hackers can use file sharing networks such as BitTorrent to spread virus files, including the FreeManualsIndex redirect payloads. The browser hijacker code can be embedded in application installers. This is done by taking the legitimate files from the official vendors. The criminals typically target popular software such as system utilites, creativity suites and productivity apps. The other method is the use of document payloads. It uses a similar tactic that modifies file types such as presentations, text files, spreadsheets and databases with the virus code. Once they are opened by the victims a notification prompt is spawned which asks the users to enable the built-in scripts (macros). If this is done the infection follows. Various web scripts can be used to redirect the victims to the active infection. The list includes all kinds of banners, pop-ups, text links and etc. As soon as the FreeManualsIndex redirect code is installed on the target computers it will start to execute the built-in commands. It follows the typical behavior patterns by first changing the default settings of the affected web browsers: the homep age, search engine and new tabs page. he next time the users open up their applications, they will be greeted by the hacker-controlled page. Manage your apps, extensions and themes. Depending on the exact configuration the infections can start various modules. One of them is the data harvesting component that can be used to institute variou information extracting actions. It can be used to directly identify of the victim users — their names, address, telephone number, interests, location and passwords. Other data include information that is used to optimize the attack campaigns. It is typically made up of values that signal certain settings from the operating system and a report on the installed hardware components. The other component that is used by the victims is the use of a hacker-controlled server connection. This creates a secure link to the hackers and may be used to report the infected hosts and allow the criminals to spy on the victims in real time. It can also be used to take over control of the machines at any given time. This is a fairy modular browser hijacker that can be used to execute various actions depending on the hacker’s configuration. It is very possible that clone sites can be made — they hackers only need to change the site’s name and domain names. Another dangerous use of the FreeManualsIndex redirect is the manipulation of the host system. This can include the deployment of the additional malware to the target hosts. The main infection engine of the FreeManualsIndex redirect can perform various Windows Registry changes. When the modify entries belonging to the operating system overall system performance may degrade. In the case of user-installed applications certain functions may be modified. A persistent installation to the infected system may be performed. It changes the boot options into running the dangerous engine every time the computer boots. It can also disable access to the boot recovery menu which renders most manual recovery methods useless. This particular threat is disguised as an index for free manuals. The service follows the typical template used by search engines. It is made up of several components. The top element is the current time followed by a small logo image of the site. Below it the criminals have placed the main search engine. It uses a Google-powered engine. WARNING! We remind our readers that any interaction with search engine can lead to the navigation to other hacker-controlled sites or virus strains. 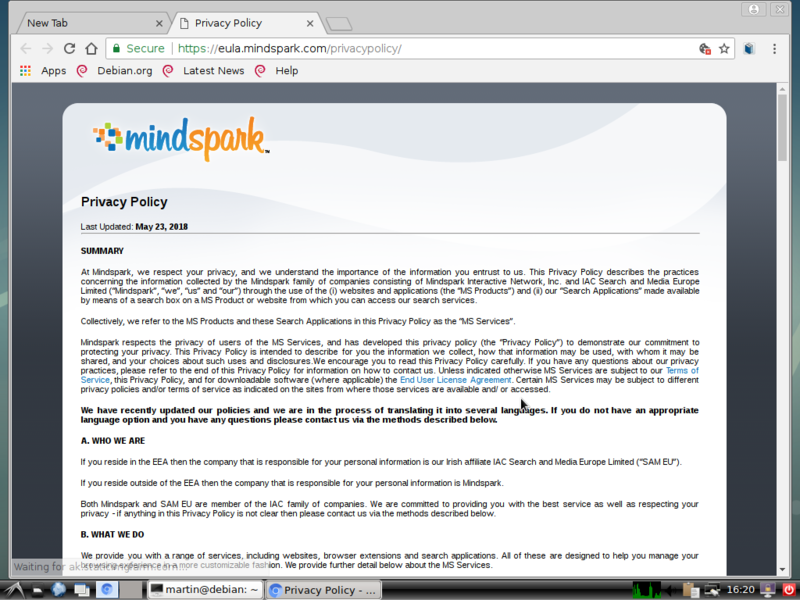 Threats such as FreeManualsIndex may be persistent. They tend to re-appear if not fully deleted. A malware removal tool like Combo Cleaner will help you to remove malicious programs, saving you the time and the struggle of tracking down numerous malicious files. Threats such as FreeManualsIndex may be persistent on your system. They tend to re-appear if not fully deleted. A malware removal tool like SpyHunter will help you to remove malicious programs, saving you the time and the struggle of tracking down numerous malicious files. Note! Your computer system may be affected by FreeManualsIndex and other threats. SpyHunter is a powerful malware removal tool designed to help users with in-depth system security analysis, detection and removal of threats such as FreeManualsIndex. 1. Install SpyHunter to scan for FreeManualsIndex and remove them. 2. Scan with SpyHunter, Detect and Remove FreeManualsIndex. Ransomware infections and FreeManualsIndex aim to encrypt your files using an encryption algorithm which may be very difficult to decrypt. This is why we have suggested several alternative methods that may help you go around direct decryption and try to restore your files. Bear in mind that these methods may not be 100% effective but may also help you a little or a lot in different situations. Note! Your computer system may be affected by FreeManualsIndex or other threats. 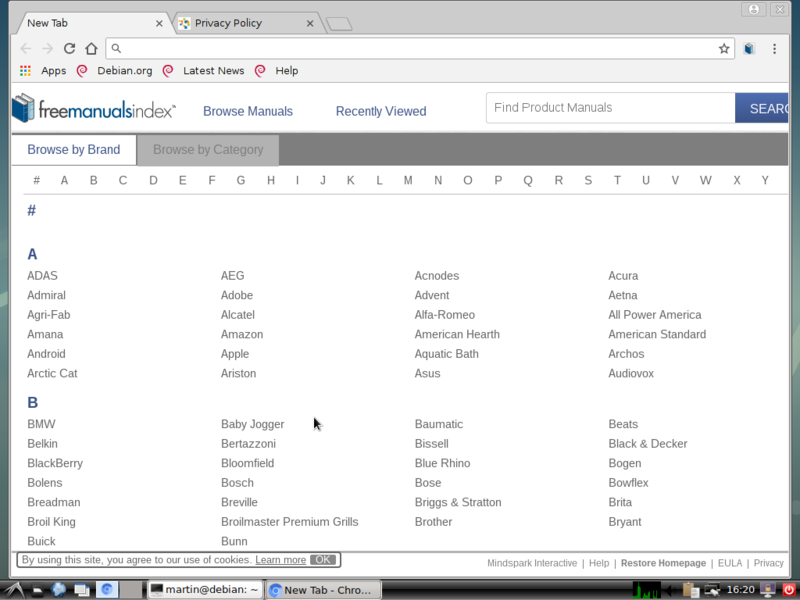 Remove FreeManualsIndex by cleaning your Browser and Registry. Fix registry entries created by FreeManualsIndex on your PC. Combo Cleaner is a powerful malware removal tool designed to help users with in-depth system security analysis, detection and removal of threats such as FreeManualsIndex. Step 5: In the Applications menu, look for any suspicious app or an app with a name, similar or identical to FreeManualsIndex. If you find it, right-click on the app and select “Move to Trash”. Step 6: Select Accounts, after which click on the Login Items preference. Your Mac will then show you a list of items that start automatically when you log in. Look for any suspicious apps identical or similar to FreeManualsIndex. Check the app you want to stop from running automatically and then select on the Minus (“–“) icon to hide it. 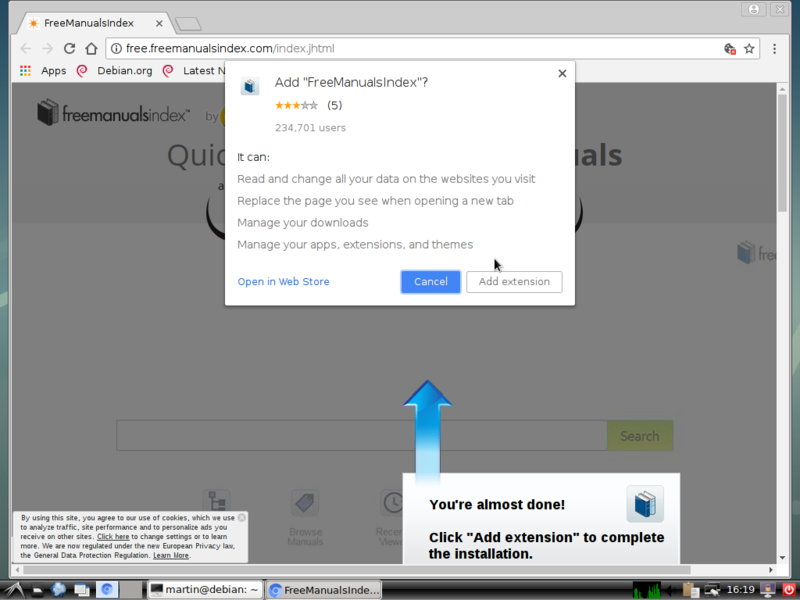 Remove FreeManualsIndex – related extensions from your Mac’s browsers. A pop-up window will appear asking for confirmation to uninstall the extension. Select ‘Uninstall’ again, and the FreeManualsIndex will be removed. When you are facing problems on your Mac as a result of unwanted scripts and programs such as FreeManualsIndex, the recommended way of eliminating the threat is by using an anti-malware program. Combo Cleaner offers advanced security features along with other modules that will improve your Mac’s security and protect it in the future. Hey !, I found this information for you: "FreeManualsIndex Redirect Removal — How To Restore Your Browser". Here is the website link: https://sensorstechforum.com/freemanualsindex-redirect-removal-restore-browser/. Thank you.